I’ve decided that the courts need to not only allow, but perhaps even mandate, brains to marry one another. Why? Because of smoke alarm batteries. That isn’t clear? Oh. Let me explain. The other night, right about 3am, a battery in one of our smoke alarms went out. So, of course, it began its beeping, once every 30 seconds or so. After penetrating my dreams, waking me, and getting me up, I raced about the house, every shrill beep being the one that might wake the baby. Your reign of terror is over, Smoke Alarm! …Do you smell smoke? Once it was done I threw the alarm and battery on the counter and went back to bed so I could lie there, angrily not sleeping for the rest of the night. Now, logically, in the morning I should replace the battery, but I don’t. Why? “Oh no, you go to hell smoke alarm. I am not doing that again in a year. I’d rather the house burns down!” Now, of course I don’t mean that, right? Of course not. Yet my emotional/base self is so mad at the smoke alarm, I just want it to lie there, helpless. And that just gets to the essence of what’s wrong with our brains. We often know the best course of action, but don’t take it because our logical brain can’t compete with the base part of our brains. 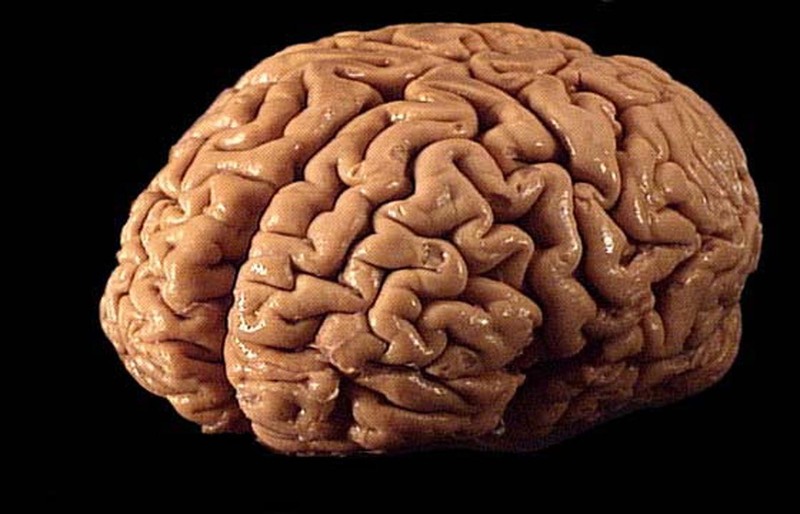 Our brains need another brain – a spouse brain, to call them on their crap. But, Spouse Brain, what if it’s – and stay with me here – a really, really *cool* guitar? “No, that’s dumb,” says Spouse Brain. See? Spouse Brain not only isn’t emotionally invested/blinded, it’s sick of You Brain’s nonsense! Of course, both You Brain and Spouse Brain know that won’t happen… so it’s a flawed system. ← Ah, Good Evening, Monsieur. May I Park Your Horrible Piece of Crap? “Oh, yeah!” to quote Kool-Aid Pitcher. I can so relate! I’d be curious to know how often people have fires and have to admit the alarms were all dead. Extrapolate from this as you wish. The dead smoke detector battery is the worst thing ever. So we can put a human on the moon but we can’t make smoke detectors more efficient. Build them into smartphones, because NOBODY forgets to charge those puppies. We actually lost half our house some years ago in a fire, and when they rebuilt, the new alarms were wired in to the house. I was overjoyed… until the builder explained that they still have batteries for when the power goes out. Damn it! At least you didn’t think it was a trapped bird in the attic as friend of mine did and got the council guy out! I always go with the politician that has the best hair. Is this wrong? I think it’s important to hear what the candidate thinks about real issues, like whether he/she thinks freedom is a good thing or a bad thing. And if they like families. This post actually reminded me to set an alert on my phone for when I get home tonight to “get driver’s license from bike bag…idiot. And good job driving to work without your license.” So thank you, and you’re welcome for turning this post into a living work of art. I recently finally got our new car insurance card in the glove box after weeks – weeks – of it going from pants pocket to wallet to satchel to pocket, always with the idea that I was “on my way” to put it in the car. It looks like a used kleenex at this point. But you brain would say, ” if you let me get a new guitar, you (spouse wife) can have those Manolo Blahnik shoes youve been eyeing.” Both brains win. Of course, credit card is still hurting. Yeah, but that’s Financial Planner Brain’s problem. I got rid of the smoke alarm in the kitchen because the kitchen hood cannot handle the husband’s cooking. As long as the fire starts someplace innocuous like a bedroom or bathroom, we’re good. Also because the fire extinguisher in the kitchen has already been used. Would’ve been replaced if I had a spouse brain, right? If a smoke detector can detect impending doom, why the hell can’t it detect nightfall? They always start beeping in the middle of the damn night — why didn’t they get all chatty in the morning when I NEED to get up? Yeah, I’m not sure I’ve ever heard one go out during the day. That’s pweposterous, never the bwain should meet! …You see what I did there, with the “w’s”? You know like “brain” only I wanted it to sound like “twain” so it would be the funniest thing on the internet. Some people don’t know this, but I’m much more clever than I think. Those smoke detectors are obnoxious with their Beep Beeping, especially during cooking when I’m burning stuff. What happens if one of the brains goes missing during the partnership? What then? I just know you have all the answers. I will admit I’ve sat on my stairs, in the middle of the night, close to tears trying to figure out which one was beeping. Those tears quickly turned to murderous thoughts. Who will it be … the snoring husband or the smoke alarm? It wasn’t easy and this is not being written from a prison cell. I loved that your brain went right to a Les Paul … hahaha! Don’t get me started on smoke alarms. How could something designed to save us be so aggravating? But on to brain + brain: what every marriage needs is a third party, perhaps a parent or child, to demonstrate the follies of not doing what brain 1 and/or 2 advises. Follow through more likely with the potential reward of future smugness. So brain, brain, and “control-group brain”. This is going to be a complicated ceremony. Interesting theory, but it breaks down if, instead of opposite brains attracting, you go with one just like yours. 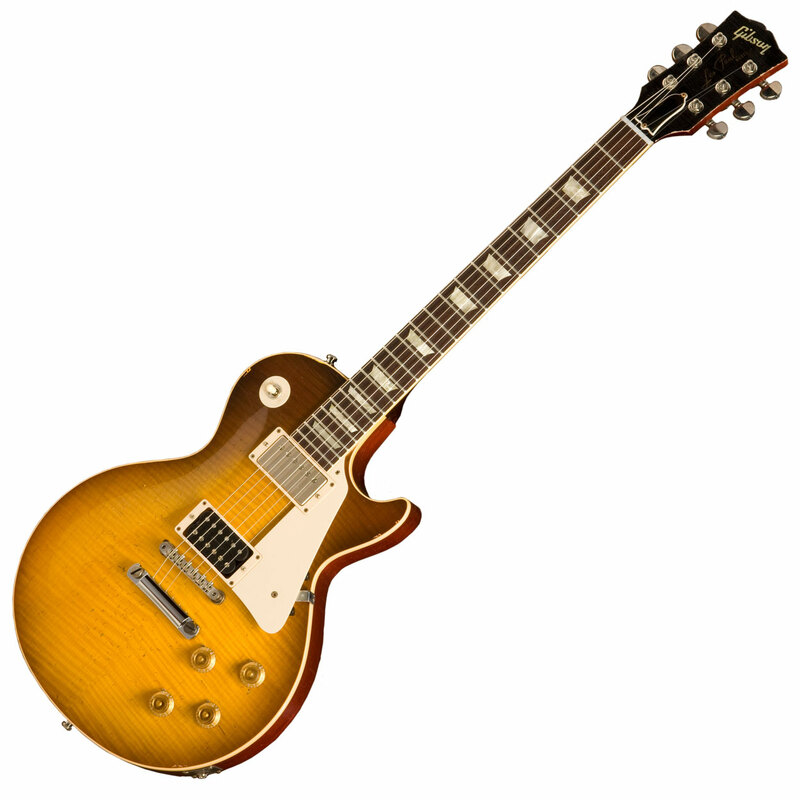 Then you’d wind up charging your credit card for two, ultra-cool Les Pauls…which you’ll lose in your impending house fire. Maybe – although I tend to get most irritated with people who are most like me… but maybe that’s my own stuff. It’s like a modern version of “The Tell-Tale Heart”! Poe is one of my all-time faves. I had to wait until I was 12 to read him; at my father’s insistence. This cannot have been done by accident, even by the most idiotic of workers. I imagine the gang choked down snorts as they imagined the future fun their devious act would one day reap. Nope. They were morons. My husband was away on a business trip and they finished the first day of demo by leaving my front-facing window completely OPEN after ripping it out. We have coyotes and crazies – it’s not-so-far upstate NY – just 1 county north of Westchester. We were so pissed. Let’s see–I’ve been away so long–would that be Poughkeepsie? Is that the county as well as the city? Yup. Sound like morons, all right! 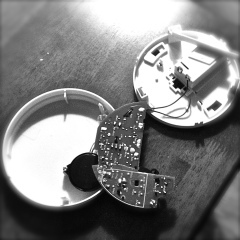 The only thing worse than having to replace the batteries in beeping, bleeping smoke alarms is having hard-wired alarms that never do anything, until the power goes out, and then they start chirping. And yes, I let spouse brain tear the whole thing out when it was light, the next day. Two years later, the alarm somehow threw itself off the top of the wall. Seeking revenge, I guess. I’m still following you while on vacation in France. ….And those alarms always go off in the middle of the night, don’t they! ?